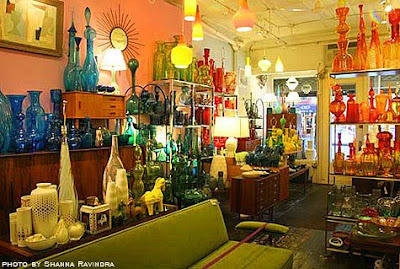 While it's more of a museum than a place from which you would realistically buy anything (due to the exorbitant prices), it is well worth a trip to this little glass shop in the West Village with the curious name of "The End of History." They primarily sell glass vases, seemingly specializing in milky opaque glasses in vivid saturated colors. Set out on beautifully designed furniture pieces from the 50's, 60's and 70's the shop has a distinct vintage flair. Their wares are organized by color, thus having the effect of a beautiful glass rainbow as you stroll around the shop. Vases come in all shapes and sizes and are mostly American, Scandinavian or Italian in origin. The shop is on Hudson Street at Perry. For the inaugural post of this blog featuring all things New York City, it is only fitting to feature a very exciting, annual, New York event - The Chocolate Show. Hosted every November, I've been attending faithfully since 2003, and to all other fellow chocolate lovers out there I can attest that it is well worth the $28 ticket price. For three days in early November every year chocolate makers from around the world gather in Manhattan to preview their sweets at this chocolate tasting event. This year The Chocolate Show runs this upcoming Friday through Sunday, November 7 - 9, 2008. It is held at Pier 94 at 711 12th Ave. at 55th street. A ticket will get you into the event where you can sample hundreds of luxury chocolates. From delicate green tea chocolate truffles from Japan to rich French confections, it is wise to go on an empty stomach so you can try as much as possible, (strategy, strategy). If you like any of the samples the vendors will also sell you the chocolates. With the holiday season just around the corner, this is a useful way to stock up on Christmas gifts for anyone with a sweet tooth. A word of caution: This event has become popular over the years and as a result can get extremely crowded. I advise going early in the morning to avoid the heaviest crowds. Still, even with the crowds, for anyone who loves chocolate I would not recommend missing this . . . and for those who don't (crazy! 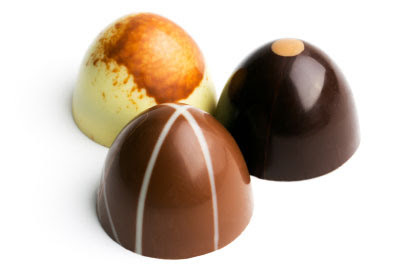 ), you might just find a special truffle or two there to change your mind.